In 1908, Colonel Clarence Deems of the United States Army was considered unfit for duty, so much so, that he was forced to appear at a War Department hearing to defend himself. Colonel Deems was no “slouch”. As a graduate of West point, he was a professor of Military Science at Maryland Agricultural college, now the University of Maryland. During his exemplary service in the US Army, he was a commanding officer of the Coast Artillery. He came from a family rich in military history. His Great grandfather served with the Continental army during the Revolutionary War. His grandfather was an officer in the War of 1812. His father was a Union general during the Civil War. In January of 1908, several charges of incompetence were brought against Col Deems. Many of his fellow officers felt that his behavior was a sign of psychological illness. They reported that conditions at Colonel Deems’ post were in “unsatisfactory condition.” Because of these charges, Col. Deems faced a grueling examination by the Army Retiring Board as it was to be determined whether or not he was capable to serve. The board that heard the Deems’ case met in the Officer’s Club on Governors Island in the afternoon of January 27th. 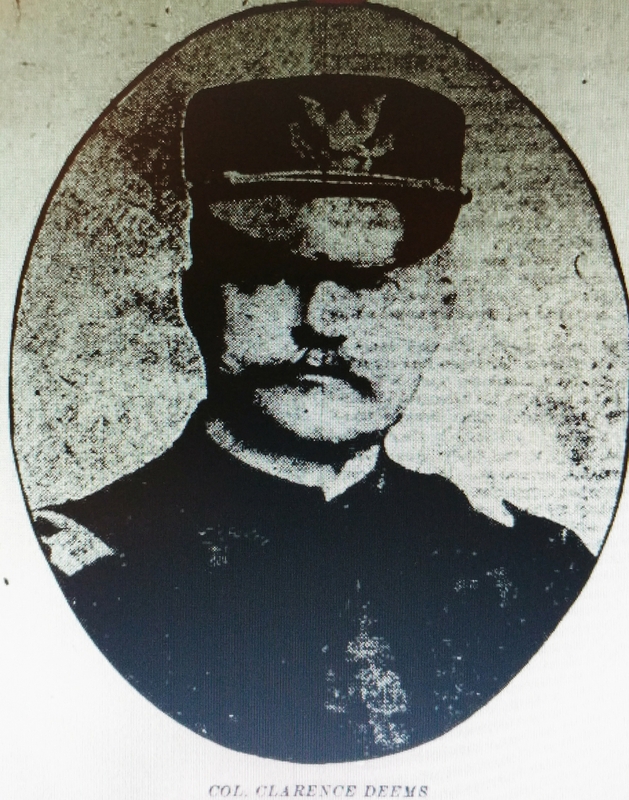 Sitting on the board, Col. Charles Richard, Chief Medical Officer of the Army, was charged in determining the mental and physical condition of the gray-haired Colonel. Just what was Colonel Deems wrongdoing? His “unnatural” affection to his little dog, Riley. Wonder what Col. Deems’ accusers would think about Holiday Barn Pet Resorts‘ luxury accommodations for our furry friends, our doggie spa, and in-ground pool? What would they think of our fondness and attachment to our little furry friends? They would probably consider us all certifiably crazy, don’t you think? That’s okay, I love being crazy. *Quote from the New York Times article, published July 23, 1911, titled “Colonel Deems and Riley to Leave The Army”. Error: Error validating access token: Session has expired on Monday, 29-Oct-18 09:08:51 PDT. The current time is Thursday, 18-Apr-19 19:26:21 PDT.